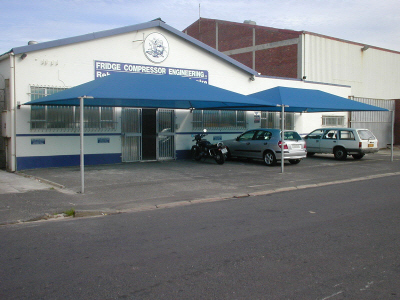 Fridge Compressor Engineering cc is a local independent remanufacturer, committed to meet the original manufacturer’s specifications. We are proud to be a member of ICRA (International Compressor Re-manufacturers Association), and adhere to their standards for manufacturing, workmanship, and quality control. We offer you a personalized and friendly service, and pledge to handle your after-sales service requirements in the same manner. Our management staff represents a substantial number of years experience in the refrigeration and air-conditioning industry. We have been successfully supplying compressors to refrigeration and air-conditioning contractors, supermarket chains, shipping containers, the wine and fruit industry, and medical institutions for over fifteen years. Our goal is to provide our clients with the highest quality compressors at a price that is affordable, and represents a superior value in a highly competitive market. Conveniently situated in the heart of Paarden Eiland, FridgeComp is easily accessible from both Cape Town and Paarl.